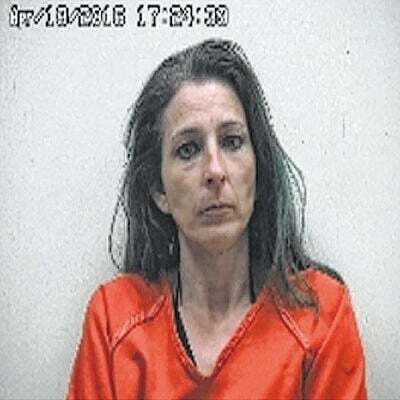 BUCYRUS — A Crawford County woman was sentenced to five years in prison in Crawford County Common Pleas Court last week for her part in a crystal meth operation near Monnett. Stacy A. Jones, 44, pleaded guilty to the illegal manufacture of drugs, a first-degree felony, citing peer pressure as her reason for her situation. Jones avoided the maximum sentence of 11 years, but will have to serve at least four of her five-year sentence as part of a plea agreement with prosecutors. Jones was arrested April 18, along with her co-defendant, Alfonso M. Villavicencio Jr., 33, after law enforcement searched their residence at 1455 Ohio 294, Marion, and seized materials used in the manufacture of methamphetamine, a firearm and drug paraphernalia. During the search of the property, two officers suffered chemical exposure while a third officer was bitten by a dog. All three were treated and released at Bucyrus Community Hospital. Villavicencio is serving nine years in prison for his role in the production and sale of meth. Judge Sean Leuthold also ordered Jones to pay a $10,000 fine and she must forfeit drug-related property to the Crawford County Sheriff’s Office. Randall D. Allen, 22, Bucyrus, was sentenced to 18 months in prison for violating probation and on a domestic violence charge. He was placed on probation in 2014 on an aggravated assault conviction, but admitted to violating the terms of his probation by violating a civil protection order and damaging property. Allen may be eligible for early release after serving six months of his sentence. If so, he must enter the Volunteers of America program and follow the terms of probation. Michael L. Fletcher, 29, Bucyrus, admitted to using a debit card without permission and to using marijuana while on probation from a 2015 conviction on a charge of deception to obtain a dangerous drug. Leuthold sentenced Fletcher to eight months in prison. Joshua Blankenship, 38, Bucyrus, was also sentenced to time in prison after he pleaded to one count of possession of drugs. Three other possession of drug charges against Blankenship were dismissed as part of his plea agreement with prosecutors. Leuthold sentenced Blankenship to seven months in prison, ordered him to pay a $1,250 fine and suspended his driver’s license for six months.